The North End Scene magazine (Summer 2009) contains a restaurant review I wrote about Antico Forno. You can pick up a copy in the North End and other select areas in Boston. I am also posting the review here, though without the beautiful photography you will find in the magazine. The review here is slightly different from the one that was published, mostly minor changes of style. Hanover Street is likely the most frequently traveled street in the North End and thus a popular destination for diners. But don’t neglect the many other streets in the North End which also offer some intriguing and delicious dining destinations. For example, I suggest you take a stroll down Salem Street and stop at Antico Forno. Antico Forno, which means “ancient oven” in Italian, has recently undergone a significant renovation and expansion, making it an even better restaurant than before. It has almost doubled in size and is very tastefully decorated with a tile floor, stone archways, and a marble topped bar. Though everything seems new, there is still a rustic nature to the décor. It has a casual ambiance and the large windows at the front let you look out onto Salem Street, to people watch. Carla Agrippino Gomes, the owner of this restaurant, also owns another local restaurant, Terramia, which is located only a short distance away. I found Carla to be very personable and down-to-earth, a woman who loves rustic Italian fare. She is also a very dedicated and hard worker, often found toiling away at her restaurants. Carla clearly possesses the driving passion I seek in restaurant owners and chefs. It is no surprise that as Carla loves rustic fare, her restaurant specializes in such. Chef Salvatore Gaglio has created an intriguing menu of rustic favorites to tantalize your taste buds. The centerpiece of the kitchen is a brick oven which is used to cook or finish many of their dishes. Based on everything I had to eat, the brick oven makes a positive impact upon the cuisine. Prior to ordering your dinner, you might want to consider something to drink such as wine. Their wine list has about thirty selections with plenty of bottles priced in the $30s, making the list very affordable. You can also purchase a glass of house wine for only $7. The wine selections are primarily from Italy and California and I was pleased to find one of my favorite Chiantis on their list, the 2005 Isole e Olena Chianti Classico. The prices on their food menu are reasonable, especially considering the large size of their portions. For dinner, Appetizers and Salads average about $11, Pizzas average about $14 from $11.50-$16, Primi average about $17, and Secondi average about $20. Lunch prices are even less expensive. The menu has a diverse selection of dishes, and everyone should be able to find something they will enjoy. As I waited for our first course, my nose was tantalized by the smell of fresh baked bread that wafted through the restaurant. Over the course of the evening, as each dish was delivered to the table, I was very impressed with the food. First, the ingredients were all very fresh, from their vegetables to their seafood. Second, portions were large but be assured that they are not trying to cover up mediocre taste by offering ample portions. Third, the food is quite delicious, with interesting sauces that enhance the dishes rather than smother them. For appetizers, try the Calamari Fritti ($13), semolina crusted fried calamari with mixed greens and topped by a citrus honey vinegrette. The calamari is bought fresh each day and each lightly battered ring was small and very tender. The vinegrette was subtle, adding a touch of sweetness to the calamari. This was one of the better fried calamari dishes I have ever had. I would also recommend the Cozzi Piccanti ($11), sauteed mussels in a spicy plum tomato sauce with roasted garlic. The pile of tender mussels sat in a very spicy sauce that was more like a broth than a traditional tomato sauce. Dip some bread into the broth once you are done with the mussels and enjoy. The Focaccino Con Caprio ($11), one of their signature dishes, is a salad with fresh mixed greens, creamy goat cheese, fresh cherry tomatoes and grilled zucchini topped by a mild dressing. But it also has slices of an exceptional, flat aromatic bread. It was warm, soft, and flavorful with just the right combination of herbs and spices. The bread was so delicious we had to order more of it. I was also surprised and impressed by the Involtini di Melanzane ($11), rolled eggplant stuffed with ricotta cheese and basil, baked in their brick oven with a plum tomato sauce and parmigiano cheese. My dining companions and I were not real fans of eggplant, but we all enjoyed this dish. The tender eggplant was sliced thin and the plentiful cheese and tasty red sauce contributed to this dish’s excellent flavor. When a chef can make me enjoy a food I usually dislike, then I consider that chef to be very talented. Based on the superb flatbread, I was excited to try their pizzas, expecting them to be equally as delicious and I was not disappointed. You can order a simple Margherita pizza or try one of their more creative options. For example, the Amalfitana ($14) has smoked mozzarella, cherry tomatoes and arugula. The crust was thin and perfectly baked, a nice combination of softness and crispness. The smoked mozzarella added an earthy element to the pizza. I would come here just for the pizza. When you move onto the Primi, you will find some interesting and delectable pasta dishes. I would suggest the Rigatoni Salsiccia E Ricotta ($17), homemade rigatoni pasta with Italian sausage and sweet onions in a plum tomato sauce and topped with ricotta cheese. The rigatoni were quite large and cooked to a nice al dente. The sausage slices had a meaty, sweet flavor and the red sauce was also very good, not too heavy. The Risotto del Giorno had porcini mushrooms and asparagus tips and the rice was cooked perfectly. The dish was flavorful with an interesting blend of spices and herbs. The Secondi are equally as compelling. The Pollo Arrosto ($18), another signature dish, is a brick oven roasted chicken with garlic and herbs, accompanied by roasted potatoes and string beans. The half chicken had a delightful crispy skin and plenty of flavorful meat. The Pesce Spada Alla Griglia ($22) is a wood grilled swordfish with fresh mixed greens, pickled red onions and orange citrus sauce. The thin slice of swordfish was moist and flaky, with a subtle sauce adding a touch of citrus and sweetness to the fish. The Chef is definitely not heavy-handed with his sauces. Though you only have two options for dessert, Tiramisu and Cannoli, both are highly recommended. The tiramisu is quite large, and tastes creamy and light with a rich chocolate flavor. As they do not use alcohol in their tiramisu, it remains light and thus is a nice ending after your ample dinner. The Cannoli also contains a rich but light and creamy filling in their fresh, crunchy shell. Service was excellent and our waiter, Ovi, took good care of all our needs. He has worked at Antico Forno for over six years and is obviously a professional. I heartily recommend Antico Forno as a restaurant for reasonably priced, delicious and amply portioned plates of rustic Italian fare. Want To Be a Bartender? With these tough economic times, it always helps to have an edge in the competitive work force. Maybe you want to learn some additional skills, take some useful classes. And that would be even better if you could get a significant discount for those classes. Groupon Boston, the deal-a-day website, is running an intriguing special today. You can become certified as a bartender at a substantial discount. You can take the Master Bartending Course at the DrinkMaster Bartending School (41 Winter St., Boston) for only $150. This 20 hour class usually costs $445, and even at their current special price it is still $345. So this is a great bargain. You can become certified as a bartender and also will be welcome to take unlimited refresher bartending classes for free. This bargain will be available today and through the weekend. If you ever wanted to learn how to be a bartender, then this is the time to do it. Virginia certainly has a thriving wine industry, and even has a magazine, Virginia Wine Lover, dedicated to their wine. So I was excited when my wife received a gift of a bottle of wine from Virginia, the 2008 Lovingston Seyval Blanc. Lovingston Winery is located in the rolling countryside of the Blue Ridge Mountains. It is mainly family operated except for their head winemaker Riaan Rossouw. It is a small winery that produces small quantities of wine, with a goal of producing high quality wines. I spoke to John of Anything Wine, a resident of Virginia, and he had very positive things to say about the winery. Seyval Blanc is a hybrid grape used to produce white wines. It is conducive to cool climates so can grow well in Canada, New Engaland and New York. It is known for possessing a citrus taste as well as a nice minerality. The winery states that the 2008 Lovingston Seyval Blanc ($13) "...carries a refreshing minerality with a nose of grapefruit and lime. The crisp acidity makes it a perfect seafood-pairing wine,.."
I found the wine to have a light golden color with a pronounced smell of citrus, especially grapefruit, as well as mineral notes. On the palate, I found it to be rather full bodied and slightly effervescent. The citrus flavors shone through, mostly grapefruit with hints of lemon. It was fairly crisp and very pleasant to drink. The finish was moderately long. I enjoyed this simple wine, though it did not overly impress me. It would be nice on a summer day or as a light apertif. As I mentioned previously, three stores in Melrose will soon be selling wine. One of those stores is Sweet Thoughts, which is owned by Carl Caratozzolo and Jerry Pulaski. This store is located at 504 Main Street, next to Turner's Seafood. They sell a variety of items, including giftware, gourmet foods and chocolates. I stopped by the store recently to ask them a few questions about the wine they will soon stock. As this is a new endeavor for them, they will partially learn as they go along, adjusting matters when necessary. To start, they will stock about 50-60 different wines, which might expand if there is later found to be a need and desire by the customers. Obviously with such a limited selection, they really need to be careful what they select. I learned that one of their distributors will be Adonna Imports, which is one of my favorite purveyors of Italian wines. So they certainly seem to be choosing some excellent wines to carry. I suspect they will take great care in which wines they stock. They will hold wine tastings, though any schedule is tentative. They should have tastings at least once a month. They are not trying to be a full service wine store. Wine will simply be an additional item to complement their other wares. It seems many people come to the store to buy gifts, and wine often can be a nice addition with some gourmet foods and glassware. They have a very loyal customer base and hope the addition of wine will enhance that base. It is an interesting store and worth checking out. I'll be sure to report back again when they finally start carrying wine. The fact they will carry wines from Adonna Imports will be a good reason to drop by and check out their wares. 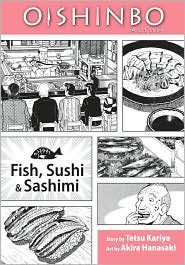 The fourth volume of the fascinating Oishinbo series has just been released and is titled, Fish, Sushi and Sashimi. It deals with various types of fish, prepared in a number of ways, including sushi and sashimi. I enjoyed this volume and learned some interesting facts about fish. Like the previous volumes, this book begins with a recipe: Grilled Salmon Skin. Then there are eleven chapters and also like the prior volumes, the back of the book has a series of notes, many dealing with Japanese terms, concerning the text. The initial chapter deals with a contest, to see whether sashimi tastes better from a live fish taken out of a tank or a dead fish, brought in from elsewhere. You might be surprised to learn the dead fish fared better, and the chapter explains the logical rationale. The second chapter is also another contest, this time revolving around the question of which sashimi is the best. Yamaoka, the hero of the manga, states the best sashimi he ever ate was chub mackeral. Most consider this is be a common, low class fish and thus can't see how it could ever be the best. Yamaoka though captures a more unusual chub mackeral, wowing the others. Chapters Three is once again a contest, this time over who can make the best sweetfish tempura. Yamaoka loses this contest though learns an important lesson. "A dish will only turn into a work of art once it has been able to move the person who ate it." (p.81) The contests continue in Chapter Four, a challenge to create a better fried dish than tianji, a type of frog. The winner was the fried head of a tiger blowfish. Chapter Five though lacks a contest, and discusses different preparations for making dishes with freshwater goby. The next chapter, Six, is intriguing. A boy fails to get into his first choice of college and is very depressed, though he did get into his second choice. Then Yamaoka is brought in to help the boy and uses the differences between right-eyed and left-eyed flounders to help the boy happily accept his second choice college. Left-eyed flounders ("hirame") are commonly considered better tasting than right-eyed flounders ("karei"). Yet Yamaoka casts some doubts on this conventional wisdom. Chapters Seven through Nine deal with a salmon contest, which ends up as a challenge between a raw salmon dish, prepared by Yamaoka, and a number of cooked salmon dishes. The raw dish is criticized though because of the possibility the salmon contains parasites, an apparent taboo I have never heard of before. Yet Yamaoka defends his dish, first indicating that he had a parasite specialist examine the salmon. Yamaoka also took other measures in the salmon preparation to ensure it did not contain parasites. This volume of the series was both educational and thought provoking. I definitely recommend the entire series to any foodie. I will continue to look forward to the next volume of the Oishinbo series. Atop bread, muffins, bagels, pancakes and much more, I generally prefer just to use butter. I don't need jellys and jams, syrups or cream cheese. When I go to a restaurant and they give me butter, it is a moment filled with a bit of dread. Why would that be the case? The answer is the frozen pat. Sometimes the butter, taken directly out of the refrigerator, is nearly frozen, almost rock hard. You can't easily spread it on your bread or muffin. If you try, you'll tear up the bread-item. Instead, you have to hope your bread-item is hot enough to melt the butter, which might take awhile. And if it is not hot enough, then there is little you can do. You can try to slice the butter real thin so it is more easily spread. But that takes time. It aggravates me and it is unnecessary. Why can't all restaurants find a way to keep their butter cool but not rock hard? Do they even realize this is an issue? Does this bother you? I was disappointed on my last trip to Tupelo because they had changed their dessert menu and the pecan pie was no longer there. This past weekend though, I was very pleased to see that Tupelo had brought back their pecan pie, as well as several of their other prior desserts. Dinner was once again quite delicious, especially the fried clams special. The warm pecan pie with a blackberry sauce and bourbon ice cream was excellent. I really enjoy pecan pie and this was a very good example of this fine southern dessert. The ice cream was intriguing, creamy with a flavor reminiscent of bourbon though it did not overpower. It appears the dessert menu will change frequently. The chalkboard noted that the current dessert menu was good only for a week. So the pecan pie might not be available if you visit. If you really want it, call ahead to see if it is on the menu. In that same regard, when our server told us about the specials, the fried grits were not on the list. But, I did ask about them and the server stated they did have a small amount left so we were able to get them. So, if they don't mention the fried grits, ask about them as well. Those are not to be missed. Katsu-zake (which roughly translates as "Bone Saké") is a special preparation for hot Saké. The grilled bones and/or fins of fish are added to hot Saké to give it some additional flavor. Sometimes, hot Saké may be poured over an entire entire grilled fish. I have had Saké before with the fin of a fugu though I was not particularly crazy about the taste. But maybe different types of fish may impart different flavors that might please me more. Who would have thought Saké was so popular in Portland, Maine? I spent Saturday walking around Portland and stopped in several stores that sold wine. To my surprise, a significant number of the stores carried Saké, and not just the cheap, common brands. They certainly carried more Saké than many of our local wine stores. I bought several different Sakés, including a couple I have never tasted before. I was so excited to see all of the Saké and I encourage all Saké lovers to check out Portland. I love Coconut Macaroons! Yet not all coconut macaroons are created the same. They come in many different sizes, textures, and tastes. The macaroons pictured above are exceptional, some of the best I have ever had. First, they are small and bite-sized, almost like a Dunkin' Donuts Munchkin. Second, they have a crisp, crunchy exterior that leads to a very moist interior, just the right balance of textures. And the taste is absolutely delicious, that rich coconut flavor that pleases the senses. They are addictive and you want to just pop one after another in your mouth, until you realize you have eaten a dozen or more. Plus, they have chocolate flavored ones which are equally as good. Fortunately, these macaroons are locally available, though only for a limited time. But, there will be other ways to purchase these macaroons once they are not as readily available. For now, you should stop by the South End Open Market on Sundays. While wandering the Market, seek out Klara's Gourmet Cookies for the macaroons, as well as other cookies. Klara Sotonova (pictured above) was born in Czechoslovakia and came to the U.S. when she was 19 years old, hoping to own her own business. She has accomplished that goal, relying on Czech baking traditions passed down from her grandmother to produce a variety of delicious cookies. Klara is very nice and personable, a small business-owner who deserves support. Klara's store is located in Lee, which is near the border of New York so she certainly makes a long trek to the South End Market. Her cookies are available elsewhere, in stores in Great Barrington, Stockbridge, Lenox, Pittsfield and Williamstown, but those are not local to the Boston area. So your main chance to get her cookies is at the Market. She sells quite a diversity of cookies including Chocolate Walnut Shortbread, Honey Glazed Hazelnut Kolache, Chocolate Almond Tea, Bohemian Coconut Macaroons, Vanilla Walnut Crescents, Linzer Cookies, Mini Chocolate Almond Tortes, Mini Chocolate Coconut Tortes, and Mini Hazelnut Tortes. Not all of those flavors are available at the Market though. You can taste the cookies at the Market before buying them and I bet you really enjoy the macaroons. I have liked all of the cookies I have sampled, though the macaroons are my favorites. The cookies are reasonably priced, small bags for $3 and large bags for $7, with discounts if you buy two or more bags. Once the Market closes for the season, or if you can't make it to the Market, you can order the cookies from Klara's website. They ship all over the country. The cookies are generally available in one, two and three pound tins, and prices vary dependent on the cookie. Once the Market closes, I will have to place my own order to obtain my macaroon fix. If you stop by and try the macaroons, please tell me what you think. It is that time again, time to check out the special value meals at over 200 participating restaurants. Summer Restaurant Week Boston will be held August 9-14 and 16-21, 2009. Participants can choose from over 200 of the region’s best restaurants and enjoy two-course lunches for $15.09, three-course lunches for $20.09 and three-course dinners for $33.09 – excluding beverage, tax and gratuity. You can check out the Unofficial Guide to Boston Restaurant Week for more info on participating restaurants and their special menus. You can even become a fan of the Restaurant Week Boston page on Facebook or follow on Twitter at www.twitter.com/RestoWeekBoston. Restaurant Week can be a great time to check out some new restaurants, or an inexpensive way to check out the cuisine at a usually more expensive place. But not all of the participants offer a exciting deal. You really should check out the listed menus if at all possible, to see exactly what they are offering. If you don't see a menu, give the restaurant a call and ask what will be on the menu. Seek out the exciting menus, those offering something above the usual. Please also note that Restaurant Week is a very busy time for many of the restaurants. There may be crowds so reservations are highly recommended. If you want to come to my house for a BBQ and are squeamish about what type of meat you eat, then maybe you should reconsider. I love trying exotic meats so you never know what that burger on the grill might be. Though if you tried one of the burgers, you might not even realize that it is not beef. On a recent shopping trip to Savenors, I picked up some yak burgers. A yak is a species of cattle which lives in the region of Tibet and Nepal, often in cold, high altitudes. It has long shaggy hair, large curvy horns and humped shoulders. 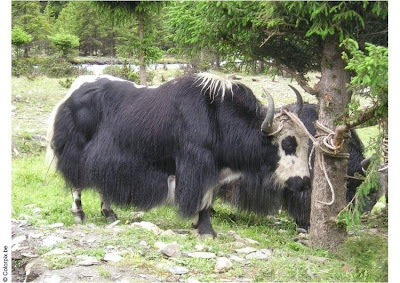 There are both wild and domesticated yaks, and they are used both as a draft animal as well as for their milk, meat, and leather. My yak though came from Colorado. It appears that a couple thousand yaks are raised in the United States, in places like Colorado, New Mexico and Nebraska. It also appears that these yaks are often raised in a more natural way, without the use of hormones and antibiotics. It helps that they only need to eat about half of what a normal cow does. Don't say yuck to yak until you have tried it. First, it is healthier for you than beef. It has about one-sixth the fat of beef, as well as more protein and vitamins than beef. Second, it looks like beef and if you had burgers side-by-side, you would not be able to determine which was which. Third, it has a lighter flavor than beef and is never gamey. I enjoyed the yak burgers and they did have a slightly different flavor than beef, though you might have ignored it if you thought they were just beef. The difference was subtle and hard to pinpoint though maybe it is best to say it was a leaner taste. They should appeal to almost any palate, at least anyone who loves beef. I would certainly buy them again. I paired a nice Sutton Cellars Carignane with the burgers, an easy drinking wine with some nice blueberry flavors. So why not be adventurous and try something a bit more exotic? Savenors is a great place to find these strange meats. This past Sunday, I returned to Myers & Chang to once again partake of their Dim Sum Brunch. My first experience was delectable so I expected my second visit would be equally as delicious. And I was not disappointed in the least. I should first note that they have extended the hours of the Dim Sum. It used to be available just on Sundays but now is also available on Saturdays, both days from 11:30am-5:30pm. So you have plenty of opportunity to try their small plates. The menu had several different dishes from the last time I had been there and I decided to check out a few of them. The Thai Inspired Shrimp Ceviche ($5) was excellent, a bowl with a good-sized mound of shrimp pieces in a citrus sauce with crushed peanuts and spices. A very refreshing dish with clean flavors. The Tamarind Glazed Prawns ($5) also was a plentiful dish, though rather messy as you had to remove the shells which were covered in a sweet sauce. But the server provided lots of napkins and wet-naps to clean up afterwards. The prawns had a very nice taste, once you removed the soft shells. The Garlicky & Spicy Chicken Wings ($5) had a very dark sauce on them that was spicy and rich in garlic flavors. The wings were meaty and tender. I tried a couple of other dishes that had been on the previous menu but which I had not tasted before. The Braised Short Rib with Asian Pear Stuffed Bao ($4) was superb, tender and flavorful shredded meat with thin, crisp slices of Asian pear. I have thus tried three of their Stuffed Bao and all were delicious. The Thai Ginger Chicken with Rice Vermicelli ($5) was also very tasty. Thin noodles and small pieces of white-meat chicken with a mild ginger flavor. Another new addition to their brunch menu is that their full dessert menu is now available. They have five choices, each costing $7. I have never tried their desserts before so this was a good opportunity to do so. I selected the Frozen Vanilla Bean Parfait with Fresh Orange Granita. I was expecting an American style parfait, that tall glass filled with alternating layers of ice cream and fruit. Instead, I received a French version, simple frozen custard made with cream. The dish was quite large, plenty enough for two people to share. There was a large square of the frozen custard, which was creamy and had a strong, delicious vanilla flavor. There are an ample portion of granita too, which was topped with a few slices of orange, Mandarin ones I believe. The granita was cool, refreshing and not overly sweet. And combining the custard and granita gave a creamsicle-like flavor which I really enjoyed. I highly recommend this dessert! I did chat a little with Chef Barros again, and it sounds like he is hard at work designing new dishes for the menu. I look forward to seeing what he develops next. I continue to recommend Dim Sum Brunch at Myers & Chang. Enjoy their inexpensive and delicious fare. At its best, a blog is a discussion between the writer and the readers. That is why a Comments section exists, so that I can hear feedback from my readers and hopefully engage in a dialogue about the issues and items I raise here. It can then becoming a sharing of knowledge and ideas, leading to a better understanding for all. Last month, I raised some criticisms of a new liquor store within the Stoneham B.J. 's Wholesale Club. In short, I did not think it was a good destination for wine lovers but was instead a place to go to save some money on ordinary wines and liquors. Although my thoughts were generally valid at the time, I lacked the entire story. Mike Reardon of RWJ Beverage (which owns and operates the liquor store) was quick to comment on my original post and offered to speak to me about the store. This impressed me, that he was willing to discuss these issues with me, to respond to my criticisms. We first spoke on the telephone and then I met him at the store and we spent a couple hours touring the store and talking about matters. Mike showed passion and a sincere desire to turn the store into a better destination for wine lovers. What is most important is that the store is a work in progress. Mike had only a short time to put the store into operation, so he could not make it exactly as he wanted from the start. But, he is implementing changes, trying to get a more diverse selection of wines and liquors, yet still catering to the usual clientele. Some of the changes will be slow, but progress should always be forward. Plus, Mike is very keen to the desires of his customers, keeping notes of wines and liquors people suggest that he carry. I made some suggestions to him as well and he certainly sounded sincere in considering them. Though their selection of hard liquors is limited, they do listen to their customers and may start stocking something they are missing if there is sufficient interest. They also endeavor to carry certain seasonal beers and liquors so their selection will change on a constant basis. One thing I liked is that the store tries to carry some non-alcoholic drinks which are used to make cocktails, and they stock them next to the associated liquor. For example, they carry Goslings Rum and next to it is ginger beer, which is used to make the popular Dark & Stormy cocktail. They carry around 175 different wines, and their selection is ever changing. They are making a slow change to carry more different wines, from more varied countries and wine regions. And they are trying to limit some of the more commercial wines. For example, they only carry two Yellow Tail wines, the Chardonnay and Shiraz, and only one White Zinfandel, the Beringer. Currently, about 90% of their wines cost $20 or less. But they are adding more higher-end wines too. Behind their counter, they are now starting to stock some wines costing $30+, higher-end wines but at a good discount. They have a single page list for these wines but eventually, when they have more wines, they will place the listing in a captain's book for your perusal. If you don't see what you want, you can suggest they start stocking the wine. Or you can special order it with them. If they can obtain the wine, they will order it for you, and you will get the wine at a good discount. That is a nice benefit. The store has free wine tastings on Thursday from 4pm-6pm, Friday from 3pm-4pm, Saturday from 1pm-3pm & 3pm-5pm, and Sunday from 1pm-3pm. A number of the tastings will be held by knowledgeable wine distributors and there are plans to have tastings with wine makers too. That makes such tastings more appealing to wine lovers. Plus, I have often touted the benefits of wine tastings, especially to expand your horizons, to try wines you might not usually consider to buy. The store employees must take wine education classes so that they can better serve the customers. So, as time passes, their employees should become more and more helpful to customers. Overall, Mike's plans for the store seem on the right track and geared to make the store more of a wine lover's destination. I believe Mike is conducive to suggestions and recommendations. So, I will change my prior comments and now give this new store a conditional recommendation. It appears moving in the right direction and you should check it out. If you don't see something you like, either special order it or recommend it to an employee. I will be watching this store over time, to see if the changes do come to fruition. I believe they will as Mike appeared honest, sincere and passionate. And I will be sure to report again on the store's status in the future. Looking for a way to end your weekend right? Grab your dance partner, and salsa on down to 541 Tremont Street on Sunday nights, because The Beehive's gone Latin! Every Sunday night from 8:00pm to 12:00am, The Beehive in Boston’s South End is bringing back a tradition! Hosting a Latin induced night, The Beehive on Sunday Nights will be your weekly destination! With rhythmic sounds of the Latin-Jazz Music and Dance Group, Cincoson, guests can listen to the beats or dance the night away! With the combined talents of Pablo Bencid (Drums), John Lockwood (Bass), Rafael Alacala (Keys), and Manolo Maniera (Percussion and Vocals), this rhythmic group has guests grooving out of their seats and on to the dance floor – its no wonder why they are in such high demand. Cincoson is your escape to that Latin vacation you’ve dreamed about, without having to leave Boston! So bring your dancing shoes and a hot date, because The Beehive on Sunday Night is your new destination Salsa Night! I have been thinking a lot lately about culinary creativity and innovation. It has been spurred on by some recent meals at intriguing places, by chefs who are passionate about constantly creating new dishes to tantalize and delight their patrons. But, there is a dark side as well. A world of boredom and monotony, restaurants with menus that rarely, if ever, change. These establishments are like robotic factories, churning out the same dishes every day of the year. Their chefs do not seem to relish the challenge of producing new and interesting meals. Instead, they repeat dishes over and over so much that they could probably prepare them in their sleep. I have nothing against a restaurant that maintains certain signature dishes. But, I think restaurants should regularly change a number of their menu items, especially to reflect seasonal availability. Any chef can make the same dishes all the time. But the truly passionate chefs won't be satisfied to do so. They will want to be inventive, to expand their own culinary horizons. They will constantly be seeking to better themselves, to better their dishes. They relish the challenge and their patrons benefit. Let me provide you a few examples of chefs who exemplify this type of ideal. First, Chef Peter Ungár of The Dining Alternative. I have attended several of his special Chef's Table dinners, and I have never been served the same dish twice. Second, Chef Matthew Barrows of Myers & Chang. He is constantly working on creating new dishes for the restaurant and I have tasted at least one of his works in progress, a delicious seared scallop in a sweet corn sauce. Third, Chef Charles Draghi of Erbaluce. His menu is always changing, except for a couple signature dishes, and he creates very innovative Italian cuisine. I won't give you examples of the boring chefs as they should be clearly evident to you. All you have to do is consider those restaurants where the menus never, or rarely change. Such chefs should stop being zombies in the kitchens, repeating the same tired old actions day in, day out. Support those chefs who dare to take the challenge. Some people would advise you not to drink your wine today as they believe it is not going to taste as good as it should. Why? Because today is a "root" day. Should wine reviewers taste wine only on certain days, days which allegedly are more optimum for the flavor of the wine? While touring Bordeaux, should Robert Parker skip tasting on specific days to get a more accurate view of wine quality? Should Gary Vaynerchuk only tape his videos on particular days so as allow the wines he tastes to show their best? Is the only difference between an 89 point wine and a 90 wine point just the fact they are tasted on different days? In short, should wine reviewers follow the beliefs of a German great-grandmother who spends much of her time gardening? There are some who would answer affirmatively to that last question. They include Tesco and Marks & Spencer, two major supermarket chains in Britain. Between the two of them, they sell about one-third of all the wine drunk in Britain. So they wield some power in the wine industry in Britian. But who is this influential German woman and why is anyone listening to her? Maria Thun is the name of this influential woman and she is considered an authority on biodynamic agriculture. Besides being an author of books on gardening and biodynamics, she also created the “Biodynamic Sowing and Planting Calendar,” which was first published back in the 1962. (Though there are some references claiming it was published in the late 1950s.) The calendar is used by farmers and gardeners to determine the best days for various agricultural and planting activities. Yet the calendar has another purpose, to indicate the optimum days to drink wine! Based on the rhythms and configurations of the moon, planets and constellations, days are categorized as "fruit," "flower," "leaf" or "root" days. Wine is supposed to taste best, with the most flavor, on fruit days, followed by flower, leaf and root days. So, you should only drink wine on fruit and flower days and not on leaf or root days. It is not so much that wines will taste horrible on leaf or root days, it is more that they will not show their true potential. They will be more subdued, less flavorful, less expressive. In addition, on fruit days, the fruit flavors of a wine will be most evident while on flower days, the wine will show more floral and perfume notes. This is simply an extention of the biodynamic concept, which is embraced by numerous wineries and farmers. You certainly hear plenty about biodynamic farming and wine making, yet you hear almost nothing about biodynamic wine tasting. But you may soon hear more and more about this unusual concept. As mentioned above, Tesco and Marks & Spencer, both adhere to the beliefs of Thun on biodynamic wine tasting. For at least a few years, they have been using her calendar to determine the optimum time for when they should allow wine reviewers to taste their wines. But it is only recently that this has been made public. They claim there is a clear difference in the taste of wines dependent on the day you drink them. There may be other wine stores and/or wineries that also are relying on Thun's calendar for tastings, but who have not come forward yet to make that fact known. I am very skeptical of biodynamics, so I don't lend much credence to this belief that the moon and stars affects the taste of wine. Yet it might make for an interesting test. Have any of you tested this concept? Do you know anyone else who is relying on biodynamic wine tasting? What do you think about this concept? "Answering the Upper Cape’s call for a neighborhood bistro that serves inventive cuisine in a stylish yet casual atmosphere, Simmer makes its grand debut this summer. With the welcoming vibe of your local Cape haunt effortlessly paired with the sophisticated fare of a downtown city bistro, Simmer is poised to become the area’s go-to spot for creative cuisine in an inviting atmosphere offering solid value. Taking the place of the former Restaurant Heather, Simmer promises a more relaxed approach to dining while on Cape Cod. With a lower price point, more accessible menu and approachable cocktail and wine list, diners of all ages will appreciate this new Cape dining option. With close ties to local fisherman and farmers, Executive Chef Don Delinks sources the region for fresh, sustainable fare and seamlessly incorporates it into his creative cuisine. From steamed Nauset littlenecks and Eastham mussels with chorizo, soffritto, garlic and white wine, to a beer-braised pork shank with grilled sweet onions and mustard cider jus, he creates seasonal menus of bright, clean flavors. To accompany the locally sourced cuisine is a seasonally-based signature cocktail list. This summer’s menu includes Highway Blackberry Cooler, Cucumber Caipirinha, hand-muddled mojitos with fresh strawberries, raspberries or blueberries, Watermelon Whistler, the SG&T, or Simmer Gin & Tonic, and a house made Nantucket Lemonade, served by the glass or by the pitcher. With a small bites menu and highly-skilled bartenders who can craft the perfect cocktail using fresh-squeezed juices and house made syrups, the bar at Simmer is the perfect spot for drinks on the Cape. With something for everyone, Simmer offers a well-deserved respite for families heading home after a day at the beach. Children can play with complimentary toys, games, sidewalk chalk and sports equipment in the Cape Village courtyard, while parents relax on the expansive outdoor patio with a house made Nantucket Lemonade in hand. In no time, Simmer will become the spot for Cape families craving reasonably-priced, sophisticated food in a casual setting. Whether dining in the spacious dining room, filled with natural light, tucking into a private high-top in the bar area, taking a seat at the lively bar or relaxing under the warmth of the evening sun on the patio, Simmer provides residents and visitors to the Cape with a perfect neighborhood bistro. Simmer is financed and overseen by Boston businessman, philanthropist and self-proclaimed foodie, David Mugar, who has a deep-seated passion for all things culinary. Growing up in his family’s supermarket business, he developed his lifelong interest at an early age working in every aspect of the food chain, from butcher to store manager. Simmer is a neighborhood bistro located at 36 South Street at the South Cape Village in Mashpee, MA in the Upper Cape area. Serving inventive regional cuisine, Executive Chef Don Delinks expertly combines fresh, local seafood and produce to create seasonal menus. From private dining rooms to specialized arrangements for those looking for a unique dining experience, Simmer satisfies every entertaining desire." Yesterday, I posted the summary of Wine Blogging Wednesday #59, a Saké extravaganza with reviews and discussion of over 30 different ones. Well, I am not done promoting Saké by any stretch. So, I am not going to wait and will post another Saké review today! The Chiyomusubi Goriki Junmai Ginjo was produced by the Chiyomusubi Sake Brewery Co., Ltd (founded over 140 years ago) in the Chugoku region of the Tottori prefecture. Their Koji, Tadayoshi Iwanari, has over fifty years of experience and uses local rice strains and spring water. I previously had their Chiyomusubi Tokubetsu Junmai and enjoyed it very much. The Goriki is made from Goriki rice, a locally grow rice which the brewery revived, which was polished to 55%. This Saké has an alcohol content of 16.5% and a Saké Meter Value of +5, making it a dry Saké. This was full-bodied with a rich and slightly rustic flair. It had flavors of steamed rice, melon, nectarine and almost tapioca. This is definitely a Saké that can stand up to plenty of different foods, from chicken to even burgers. I enjoyed this though I prefer their Tokubetsu. Just a matter of personal preference and nothing to do with the quality of the Goriki. It appears that Saké is still intimidating to some as well as not as widely available as it should be. But, on a positive note, those who really give Saké a try seem to appreciate it and want to learn much more about it. For Wine Blogging Wednesday #59, I chose to pay homage to Kushi no Kami, an ancient god of Saké. For this theme, participants had to conduct a kikishu (“Saké tasting”) by selecting any Saké and reviewing it. They could earn bonus points if they reviewed multiple Sakés of different styles or types, as well as if they paired Saké with food. My hope was that people would explore this unique beverage, and maybe gain a better appreciation for it. Participation in this theme was not as extensive as I would have liked but those who did participate were quite enthusiastic. In fact, over 30 Sakés were reviewed and discussed which will thus give you lots of different recommendations. Plus, we had two special guests, both well known Saké experts, who joined in on the Saké fun. Our first special guest was John Gauntner, a famed Saké authority and educator. The Japanese media refers to him as the "Saké Dendoushi" ("Saké Evangelist"), for his intense devotion to the promotion of Saké. John reviewed a Hakkaisan Tokubetsu Junmai-shu from Niigata. This is the first time this brewery has made this style of Saké. He said: "How'd it taste? Rich, young, tight, clean and balanced." It also had fruit flavors including: "Mostly berry-like stuff: cranberry, raspberry, a bit of apple too I guess." This is a Saké I would love to try. Our second special guest was Beau Timken, a Saké authority and the owner of True Sake, the first all-Saké store in the U.S. He reviewed the Kikuhime Dai Ginjo, a very pricey Saké at $125 a bottle, but also quite an exceptional one. Beau may not remember his first love, but he certainly remembers his first taste of this wonderful drink. He provides his tasting notes from the first time he tasted this as well as his most current tasting note of this Saké. Does this not sound enticing? "With a gentle collection of cherry, sweet rice, melon, lavender, and powdered sugar aromas, this brew is a mouth-ride at its finest." This is a Saké for the true aficianado, for someone seeking the best of the best. For a Saké experience like that, I would pay its high cost. As for the rest of the participants, many of them earned bonus points for tasting multiple Sakés as well as pairing them with food. Plus, some people earned additional bonus points for going beyond the usual, and adding even more cool information about Saké to their posts. Victoria of Read Me, Drink Me earns bonus points for reviewing multiple Sakés as well as describing her trip to the Takara Brewery and museum in Berkeley, California. I have been there too so it was cool to resurrect that memory and Victoria does a great job of describing it. Victoria also reviews 8 different Sakés from Takara! She enjoyed some of them but not others. Her favorite was the Sho Chiku Bai Antique (though pricey at $60) which was "a surprisingly unique and complex selection" with "Earthy notes of moss and mushroom were complemented by sweet notes that went past the usual melon fruit to more floral and herbal ones." Marcy of Come For the Wine earned bonus points for reviewing two different Sakés, as well as pairing one with food. She first tried the Kurosawa Kimoto Junmai, finding it "easy to drink with a light citrus fragrance and a smooth lemony juniper flavor." It paired well with Yakitori. Next, she tried the Onikoroshi Daiginjo which was "dry and delicate but more floral than fruity in fragrance." As an extra bonus, Marcy even mentioned a couple of her favorite Sakés, including Yumedono Junmai Daigino and Hasumago (one of her favorite “go –to” Saké. Marcy ends her review stating: "The world of Sake certainly deserves more research on my part. But if you're looking for something new to drink, give sake a try." Rich of the WineLabelReview tried the Momokawa Pearl Saké, a Nigori Genshu. He shared the bottle with a group of friends. Rich said: "It was a salty taste with hints of coconut/pineapple (kind of like a salty Malibu Rum with milk)." Though this did not go over well with many of the people, Rich was glad to have tried something new. A Nigori is probably not the best choice to serve to those new to Saké. I am also not a big fan of Nigori, except sometimes as a dessert wine. But Rich did tell us about a previous Saké that he tried, a Junmai Daiginjo Jyudan Jikomi. He said: "It tasted like sweet flower petals, malty and lemony all at the same time." Rich hopes to visit Sakaya, the all-Saké store in NYC later this summer. Dr. Debs of Good Wine Under $20 tried the Rihaku Wandering Poet Junmai Ginjo. She admits to knowing little about Saké so this theme was educational for her. She found this Saké to be "somewhat difficult to describe in terms of aromas and taste." Yet she liked it and felt "it represents good QPR." And she does want to learn more about Saké. So we have another convert. Ryan of Oe-No-Phile tasted the SakeOne G, from a brewery in Oregon. Ryan gives a very detailed description of the appearance, nose and palate of this Saké. Part of his enticing description is "Flavors include orange, lemon, and vanilla. Austere and clean. Incredibly refreshing." He paired it with a wasabi and sesame crusted tuna steak and felt it was an excellent match. He comments that the "saké scrubs your palate clean, leaving a warm, but incredibly fresh feeling." He also recommends this Saké for newcomers. Joel of Writer's Blanc reviewed the Sudo Honke ‘Sato No Homare’ Junmai Ginjo, which was one of the Sakés I actually reviewed. It is interesting to compare our thoughts on this Saké. Joel felt the "exceedingly smooth palate proffers white peach flesh, early golden plum flesh, creamed corn, and melon." He enjoyed this Saké and would like to try it with some nigiri sushi. Erika of StrumErika is already a fan of Saké, stating it "can be so refreshing and beguiling." She tasted the Kanbara "Bride of the Fox" Junmai Ginjo and paired it will some spicy tuna hand rolls and spicy crab stick salad. She found the flavors and aroma "tough to pinpoint" but found "a lot of a sweet cereal aromas like a cream of wheat with layers of cucumber peel and a hint of orange zest." She also got a smell almost like "freshly folded laundry!" Though she enjoyed the Saké, it was pricey and she would like to find some less expensive, quality ones. She too wants to visit Sakaya, the all-Saké store in NYC. Rob of Wine Post went with Leah, his girlfriend and a Saké lover, to Sake Hana, a Japanese restaurant/Sake Bar. They get bonus points for reviewing 6 Sakés! It is cool to see the different perceptions of Rob and Leah for each Saké, just as different people can view the same wine differently. Rob also relates a fascinating story about a group of Japanese patrons who brought in their own Saké to the restaurant. It appeared as if they brought in some rare and unusual bottles, and this seemed to intrigue Rob into wanting to get deeper into Saké. Gwendolyn of Wine Predator also receives bonus points for reviewing multiple Sakés as well as pairing them with food. She began with two, the Sho Chiku Bai Nigori and Sho Chiku Bai Filtered which are from the Takara Brewery which Victoria previously discussed. Gwendolyn paired the two with some miso soup and sushi though she was not impressed with the Saké or food. Later, she also tasted the Shuzo Rihaku “Wandering Poet” and the organic Mumokawa Junmai Ginjo. The Mumokawa was her favorite and was organic "full of character, complexity, body, flavors of fuji apple, pungent, upfront, not subtle, and with a lingering finish." The Shuzo was her second favorite with "flavors of banana, sweeter than the organic ginjo, vague tropical fruits, pineapple." I also must give Gwendolyn extra points for including a couple poems by the Wandering Poet, Li Po, in her post. For my own contribution, I reviewed two Sakés. I chose to review Sakés from breweries with long histories, including one that is over 860 years old! The Sakés included the Sato No Homare "Pride of the Village" Junmai Ginjo and Kuro Obi "Black Belt" Do-D0 Junmai Yamahai. The Sato No Homare was excellent, a complex and flavorful Saké which should appeal to everyone. The Kuro Obi was rustic, with an unusual taste, which should appeal to Saké lovers though it may not be something for newcomers. Please check out the complete posts of all of the participants as they are fascinating. Thanks to everyone who participated in WBW#59. I hope everyone enjoyed the theme, maybe learned a thing or two, and hopefully there will be more converts to Saké. And there was one more, last-minute participant. Tom of Ithacork reviewed two Sakés, earning bonus points for that. This included the Horin Gekkeikan Sake Junmai Daiginjo and Momokawa Pearl Junmai Ginjo Nigori Genshu Sake. Tom's favorite is definitely the Nigori. What really makes his post interesting is Tom's scientific approach to Saké, discussing matters such as phenylethanol and Aspergillus oryzae. BiNA Osteria has now opened the only outdoor Café, BiNA on the Common, on Boston Common, offering Al Fresco Dining six days a week. BiNA on the Common arrives on July 13. A European-style café located on Boston Common where Tremont meets Boylston, BiNA on the Common will be an interesting summertime spot to catch a quick breakfast on the go, or a grilled-to-order Panini to enjoy at one of the café’s 10 tables. Breakfast items include Freshly Baked Bagels, Muffins, Brioche and Scones, as well as Yogurt, Granola, Fruit, Freshly Brewed Coffee and Iced Tea and Fresh-Squeezed Orange Juice. The $4 Breakfast Special includes a Fruit, Yogurt and Granola Parfait with a Cup of Coffee. Premade Panini sandwiches include Prosciutto, Caprese, Roast Beef with Asiago and Veggie, as well as Hamburgers, Cheeseburgers, Grilled Portabella Burgers and Mixed Vegetables from the grill. Sides include Salads, a Cheese Plate, Homemade Pasta Salad with Pesto, Homemade Tortellini Salad and Pickles, with beverages such as Soda, Water, Coffee, Iced Coffee, Iced Tea and Orange Juice. BiNA on the Common also offers fresh produce from BiNA alimentari, a European-style gourmet market in Downtown Crossing. It will be open Monday to Friday, from 8m-6pm and Saturday, 10am-5pm. Burton’s Grill of North Andover, located at The Eaglewood Shops, is offering a special on Monday and Tuesday Nights that will be enjoyed by all seafood fans; The Burtons Grill Raw Bar. The Raw Bar menu will be available Monday through Saturday from 5pm-10pm. Take advantage of the summer weather and enjoy the new Raw Bar menu on Burtons’ outdoor patio – perfect for a casual luncheon or an evening of wining and dining! For a night of cocktails and dining, Bar Manager Chris Little of Boston’s recommends the best spirit for this fare: “I would recommend a Vegetable Based Vodka or Tequila…If your looking for a smooth, higher end drink, I would recommend the Pepper Tequila”. Seeking a nontraditional brunch? Want to skip the eggs and pancakes and try some more innovative cuisine? If so, I have a great suggestion for you: Sunday Dim Sum at Myers & Chang. Their Dim Sum is a bit nontraditional, but basically consists of over 25 small plate options, costing $3-6 each. It runs every Sunday from 11:30am-4pm. Their brunch is still relatively new so is subject to some changes as they endeavor to improve it through their experiences, as well as to add new dishes. I have had a few delicious lunches, a couple I previously reviewed, at Myers & Chang. So I was intrigued about their Dim Sum and finally stopped by on a recent Sunday to check it out. The small plate concept really appeals to me and I think it is a great way to survey a cross-section of a restaurant's cuisine. Myers & Chang has succeeded, creating a delicious and interesting Dim Sum Brunch and which I fully recommend. The menu currently is divided into Dim Sum (10 choices for $5 each), Stuffed Bao (6 choices for $4 each), Fried Dumplings (3 choices for $6 each), Noodles (2 choices for $3 each), Rice (2 choices for $5 each), and Sides (4 choices for $6 each). There may be a couple specials as well. There is plenty of variety on the menu, and it includes smaller portions of some of their regular menu items. We began our meal with a bowl of complimentary shrimp crisps, of which I have talked before. See my previous review for more information about these crisps and other of the dishes below which are smaller versions of items on the regular menu. The Sweet Potato and Chinese Sausage Fritter ($5) is nicely crispy on the outside, with a soft, moist interior with a definite sweet potato flavor and spicy sausage. A nice combination of flavors and textures. Mama Chang's Pork Dumplings (3 for $6) were similar to what I have eaten here before, except they were more fried. My prior dumplings were just pan fried on one side. So these had a crispier exterior, which tasted very good too. As I said before, these are excellet dumplings, filled with plenty of meat and veggies. The Wok-Roasted Lemongrass Mussels ($5) are a smaller portion of a regular menu item. And they were as tasty for brunch as they were when I had them for lunch. We had two different Stuffed Bao ($4 each), one with roasted duck and the other with soy braised chicken. The steamed bun which acts as the bread is soft and light, and contains plenty of flavorful and tender meat. I enjoyed both the duck and chicken, and want to try their braised short rib and Asian pear Bao. The Tea-Smoked Pork Spare Ribs ($5) are also on the regular menu and this dish is only a tiny bit smaller than the regular dish. I love these incredibly tender ribs, which come off the bone very easily. Plenty of meat with a delicious glaze. Something new to me were the Shrimp and Corn Fritters (4 for $5) which come with a cilantro lime sauce and an aioli. These were absolutely heavenly! Light, fluffy and flavorful with real kernels of corn. The shrimp, corn and spice flavors melded well together and I didn't think they needed any sauce. I liked their clean flavor and felt they were fine on their own. I could have sat and easily eaten a dozen of these fritters. Chef Matthew Barrows was working the brunch and spent a little time chatting with us, asking us whether we enjoyed the dishes. He was quite personable and his passion was evident. He asked whether we wanted to try a new dish he was working on and we eagerly assented. It was a Seared Scallop in Sweet Corn Sauce with Chili Sauce. Chef Barros prepared the dish while we watched and it was excellent. The good-sized scallop was perfectly cooked and the sauce was very tasty, a nice sweetness to it, and it went very well with the scallop. That corn sauce would work well with other dishes too. You may see this dish on their Dim Sum menu in the future. Service was excellent, as usual. Overall, I was very pleased with their Dim Sum Brunch and I will certainly return. All of the dishes I had were delicious. Plus, overall it was a good value with plenty of food for a reasonable price. I am sure that it will also continue to get better over time, with new and innovative dishes to tantalize the palate. Maybe I will see you there some time. Like most people this summer, I'll attend a number of parties and BBQs. Kudoes and thanks should go to those hosting these gatherings. But one thing does irk me about some of these parties. Cheap booze. If the hosts want their guests to enjoy themselves, to enjoy the food and drink, then they should be willing to spend a little extra money to at least buy average quality alcohol. Alcohol comes in generally three classes: cheap, average and premium. Cheap booze often is lesser quality, and you can taste the difference. Plus, it often seems more prone to causing hangovers. It certainly won't impress your guests. Obviously hosts buy the cheap booze to save money, but I don't think the monetary savings make up for the non-monetary costs. And it is not like average quality booze is that much more expensive than the cheap stuff. There are plenty of discount clubs that sell alcohol at a discount so the average stuff is even less expensive. A host doesn't have to buy top shelf booze for his guests. But the host shouldn't buy the cheapest rotgut either. So, when you host parties, what quality booze do you supply? Returning for its seventh year, the Tanglewood Wine & Food Classic brings the best of wine, food and music to the Berkshires for three days of events. Festivities include a winemaker reception and the 6th Annual Wine Auction Dinner – all culminating with the Classic’s signature event, the Grand Tasting. Come out for all three days, or make the Grand Tasting a day trip from Boston with bus service leaving from Symphony Hall and Riverside-MBTA Station. Bus departs Symphony Hall at 9:30 AM, departs Riverside at 10:00 AM and arrives at Tanglewood by noon. Bus returns to Boston at 4:30 PM. Cost is $35 round-trip. Dinner prepared by special guest chef Zach Bell of Café Boulud in Palm Beach and Jeffrey Thompson of the Berkshires’ iconic Wheatleigh, paired with wines presented by Rob and Maria Helm Sinskey of Napa’s Robert Sinksey Vineyards. Auction featuring large format and hard-to-find wines. Individual tickets $225. All proceeds benefiting the Boston Symphony Orchestra. Noted chef Timothy Quinn of the Seaman’s Inn in Mystic, CT prepares a locally-sourced dinner with native foods from local farmers in the Berkshires, paired with an East Coast-West Coast combination of wines from Connecticut’s Jonathan Edwards wines and Sonoma’s Landmark Vineyards wines, presented by Damaris Colhoun. --Wine tastings from over 50 vintners, including Atlas Peak, Barefoot Wine, Cháteau le Garde, Cháteau Pey la Tour, Cháteau Teyssier, Dancing Bear Cellars, Diane del Belgrave, Geyser Peak, J. Vidal Fleury, Kenefick Ranch Winery, Landmark Vineyards, Lionello Marchesi, Loire Valley Wines, Pierre Sparr, Poppy Wine Company, Robert Sinskey Vineyards, Still River Winery, Tenuta Santome and many more. --Watch celebrity chefs from renowned restaurants, including Alta, Brix, Four Seasons Hotel Boston, Frankie’s Ristorante Italiano, Metro Bis, Patina Restaurant Group, Stowe Mountain Lodge and Wheatleigh display their talents during 45-minute cooking demonstrations at Viking kitchen stages. Other participating restaurants and food purveyors include Kerrygold and Old Chatham Cheese. --12:00 – 4:00pm on the Tanglewood Grounds. Individual tickets $105. SPONSORS: The Tanglewood Wine and Food Classic is sponsored by: Viking as the Presenting Sponsor and joined by Lux Bond & Green, Colonnade Hotel, Boston Common, St. Germain, Acqua Panna, San Pellegrino, Nestle Waters and iGourmet. I am very pleased that Beau Timken, a Saké authority and the owner of True Sake, the first all-Saké store in the U.S., has chosen to participate in Wine Blogging Wednesday #59! True Sake is located in San Francisco and I was fortunate enough to visit it a few years ago when I was out there on vacation. It is an excellent store and well worth checking out. Pus, they do ship for those unable to visit the tore. Beau holds two professional Saké-tasting licenses as well as a master Saké sommelier license. He also authored the book Saké: A Modern Guide, which I previous gave a very positive review. "I won’t lie – it’s $125 per bottle! Stop reading right here if you cannot afford a bottle. Stop reading right here if you can afford a bottle but would never purchase one on principal. Stop right here if you think that Yaegaki Mu is the best Dai Ginjo ever made. (It’s a good brew – don’t get me wrong!) Go no further if you don’t really want to “know” sake. I remember my first! Love? Hell no! I remember my first taste of Kikuhime’s Dai Ginjo. The bottle was a present from my pal Ryuta Sakamoto – of Kappo Sakamoto in Kyoto and Medicine Restaurant in SF fame. (A brew that they keep permanently on their menu in Kyoto.) He thought that I might enjoy it. He thought wrong. I loved it. So much so that I went to my importer of this kura, who I used to sell their Yamahai Junmai (too big for the average sake drinker), and said I need this Dai Ginjo. So three years ago said importer brought Kikuhime Dai Ginjo to our shores to be sold exclusively at True Sake. No other place outside of Japan carries this brew, nor should they! It’s home is in the home of sake. The name of this AAA Yamadanishiki made rice is BY, which of course stands for “Brewing Year.” What’s the difference between a “brewing year” and a calendar year? Think in terms of rice! Rice from one season is used in the next. Fall ’06 rice used for January ’07 sake for example. This brew, however, is laid down for a year and a quarter and then bottled and released roughly 1 ½ years after turning rice into liquid! Add the fact that this baby is carrying roughly 18% alcohol – Genshu, and you get a brew that has stability in the bottle. better be classy as all get out! I will however speak to the style that this brew chooses to define its contents – confident and different! Now since that fateful first tasting I have secretly squirreled this brew to special occasions across this great land – hell I even took it to New Orleans to pair with Cajun food! And on my personal “sweetness/dryness” scale – a system that I invented by necessity before I knew about the Sake Meter Value or Nihonshu-do – I gave it a 4, which lo and behold is the same number I gave the brew tonight when re-reviewing it for the Sake Spotlight! Basically this sake is so solid – so balanced – so even that it would take a natural disaster to throw this beast off kilter. FOODS: Yup! Even Cajun! Will take on all-comers! Why did I bring this brew out into the Sake Spotlight? Are you thinking that I want to sell a lot of $125 bottles of sake? You really don’t know us at True Sake if you think this! No – the reason is really quite innocent and pure. I present this brew because it is a foothold in the understanding of climbing the sake sheer-faced mountain. It is a solid grip – a firm placement – a step for which you need to get to a higher level of understanding sake. Or not! From Ishikawa Prefecture. Dai Ginjo Genshu (Aged Over One Year). rewarding this Dai Ginjo has a structure like no other, enjoy the acidity and revel in the complexity. Have you eaten at Erbaluce yet? I previously raved about Erbaluce and have been trying to plan my next visit there. Well, I think I have found the perfect date, August 5, as they are having a special wine dinner that date. Chef Draghi states: "We're going to take a little Italian wine journey that will leave even the most die-hard enophile perplexed, searching for answers, and asking for another glass! We'll be featuring wines from familiar varietals in very unfamiliar guises (a white wine made from lambrusco, and a white wine made from nebbiolo!! ), and some varietals that are never heard of outside their regions in Italy (like casetta, ruche, and schioppettino). All are World-class wines, all are delicious, and all will leave your best wine snob friend jealous that you've had a wine he/she has never even heard of!! So, join us for a truly unique exploration of five of the rarest and most fantastic wines that Italy tries to hide for itself (paired, of course, with five courses of our equally unique regional Italian cuisine)." How can a wine lover resist such an opportunity to taste those unusual wines? Plus, I am sure the food will be excellent too. I also bet this wine dinner fills up quickly, so I advise making your reservations quickly. The wine dinner will be held on Wednesday, August 5, at 7pm. It will cost $70 per person for Food and Wine. Wine in a Bag: Box or Barrel? Which appeals to you more? Finding a small wine barrel at the bar or a box of wine? Many people would probably prefer the barrel. Yet the difference between the barrel and the box is mere appearances. It may alter your perception of the wine, though the wine itself may not be any different. DeLoach Vineyards has created "Barrel to Barrel," an interesting twist on wine-by-the-glass. They now sell barrels that hold ten liters of wine, currently their 2008 Pinot Noir. Though only 50 of these barrels were produced. A restaurant or other establishment can place the barrel atop their bar, to use to pour glasses of wine. It should appeal to consumers, making them feel like they are having a cellar experience, drinking wine straight from the barrel. But looks can be deceiving. The wine is actually being held inside the barrel by a special "Eco Bag," which will minimize oxidation and keep the wine fresher for longer. The barrel can even be refilled by just inserting another bag of wine. This is the concept behind wine in a box, just made to look much nicer. This is environmentally friendly in a number of ways. Vox Populi, an American bistro and martini bar in the Back Bay, bought two of these barrels and feature the Pinot Noir by the glass at $9. I think the barrel will be far more popular than boxed wines, as it gives the illusion of a wine cellar experience. Kudos for the wine being more ecofriendly. I am on numerous wine store mailing lists as I like to keep updated on what is going on in the local wine community. I learn about intriguing wine tastings or wine maker visits. For a time, I have been receiving emails from Vintages: Adventures in Wine, a wine store with locations in West Concord and Belmont. Though I have found the emails to be fascinating, it was only until very recently that I stopped by their Belmont location. I don't get to Belmont enough, though I should, especially now that the new Il Casale restaurant has opened there. So, when I needed to make a trip to Belmont, I planned to stop by Vintages to check it out. Vintages is owned by Eric Broege and Carolyn Kemp, husband and wife. They first opened the West Concord store and last year opened the Belmont store. Based on their website listings, I had a preconception that most of their wines were Italian, with a small bunch of French wines and a few Spanish ones. I wondered how it would compare to Italian Wine Merchants in NYC. As you step into the small store, about 600 square feet, there is a large chalkboard to your left with a list of new arrivals and specials. Plus, there is a refrigerator with cheese and other gourmet foods. That is a nice addition as wine and cheese often go so well together. Wines are primarily shelved on both the left and right walls. Down the center of the store are counters with other wines, and refrigerated storage units within the counters. They certainly have made full use of their limited space without making the store appear over crowded. They display around 700 or so wines, close to 50 wines in each shelving section. That is certainly a good amount of available choices. My preconception was not fully accurate. There is more diversity in their wine selection than the website seems to indicte. There are a number of omissions but they are intentional. Most of the right side of the store contains Italian wines, from top producers like Gaja and more unique wine makers like Gravner. Yet Italian wines actually make up less than 50% of their selection. They carry a significant number of French wines, including Bordeaux, Burgundy, Rhone and Champagne. They even carry some California wines, apparently mainly from small producers such as Sutton Cellars. In the photo below, you can see all of the Spanish wines they sell. They even carry plenty of dessert wines. What about their prices? No worries there as prices are reasonable and comparable to most other wine stores. You are not going to overpay here for either low end or high end wines. And you will find plenty of inexpensive wines here, despite the numerous high end wines the carry. It is interesting that the store fails to carry wines from a number of different and popular regions. It feels very much like a personal store, stocked with the wines the owner loves. To me, it is indicative of the passion of the owner, and his desire to share that passion with others. This is not a wine store that will appeal to everyone, that will cater to all tastes. But, if you share the tastes of the owner, if you really enjoy French, Spanish and Italian wines, then you will very much enjoy this store. In the regions it does carry, it has plenty of diversity as well as carrying some of the top wines of those regions. I am a fan of these regions, so this store really appealed to me. Vintages gets my hearty recommendation!